Ishshah’s Story is pleased to feature a guest submission from another voice new to the blog. Cindy Bishop is from Washington State, USA and is, in her words, a ‘poet, nurse, mother, grandmother, and daughter of the Most High King‘. Join us in welcoming Cindy as she shares a bit of her testimony and the story surrounding the song the Lord gave her from Psalm 103. May her song lyrics to Let Me Not Forget lift your heart in praise as you recall all His benefits. Thank you for this opportunity to share my heart with you. I am a child of the 60’s and praise God, the Lord wooed me and won my heart during that time of peace, love, and rock-n-roll! I am one who loves adventure, and attempt to live life to the fullest. The Lord has taken me on mission trips to Africa as well as Europe. As a nurse, my work place has been prison, psychiatric and chemical dependency facilities, and people’s homes. I love the fact that Jesus embraced the unlovely and those that most society rejected. I am glad that He has called me to do the same. For years, Psalm 103 has held a special place in my heart. I was so blessed when the Lord gave me the song Let Me Not Forget, for it was one of those days that I had a million other things I could have been doing, but that morning I chose to spend time with Him. He again met me right where I was at. I find that when I take a step towards Him He leaps towards me! I so easily get distracted when I become focused on the trials and troubles of the day, and forget His benefits to me. I feel strengthened, renewed, and encouraged when the Lord gives me hope through poetry and song that is birthed from his Spirit and His Word. Going through a season where ‘the waters have come up to my soul!’ (Psalm 69:1), I desperately needed to be reminded of these benefits and let the truth of His Word quake my spirit and renew me. As the Lord was giving me this song I was reminded I am forgiven and He has cast my sins into the sea of forgetfulness, where they can never be recovered (Micah 7:19). While writing, I also recalled the song Keith Green sang years ago, Trials Turned to Gold. 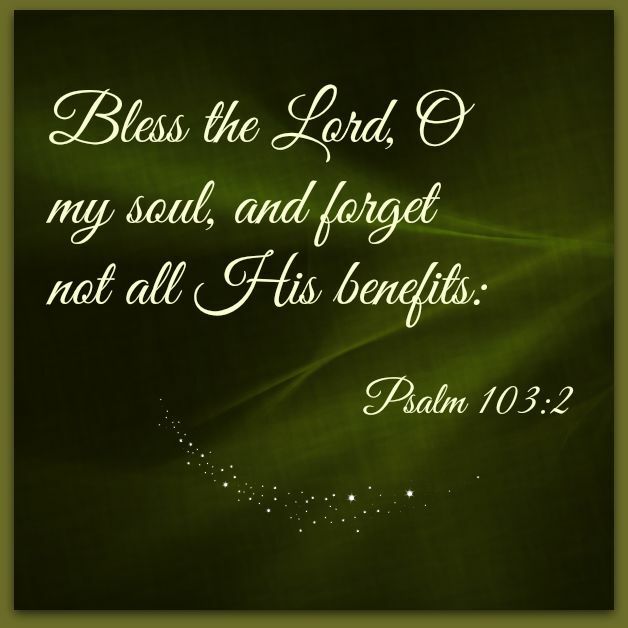 What a benefit – that the Lord has the ability to transform my trials into something precious! He also reminded me of my identity and that I am always on His mind and ever before Him; so much so that He has engraved my name on His hand. I love it when the Lord makes reference to the eagle. Eagles actually get excited when they see a storm brewing, because they know that it is their opportunity to take advantage of the raging winds – which will lift them up to new heights, above the clouds. and now know who I really am. And help me fly with eagle’s wings! All the storms in my life. All the storms of my life! You go beyond my wildest dreams! I now dance and sing! Your hand is there for it to hold. What You’ve done for me! Cindy, I love the part about the eagle anticipating the benefits of the storm. At some point in the last forty plus years I found myself looking at trials with some dread but also excitement because I had discovered that when I got to the other side, I would look back and thank God because what He taught me was well worth the trouble. Cindy, thankyou for sharing these thoughts and your beautiful song with us. I was richly blessed by your post.